" CHRISTIANITY 101" THIS IS MY PRAYER OF HOPE TO THINK AND DO ALL IN LOVE! WHATSOEVER THINGS THAT ARE TRUE, HONEST, JUST, PURE, LOVELY, OF GOOD REPORT, IF THERE BE ANY VIRTUE, AND IF THERE BE ANY WAY TO GIVE PRAISE TO GOD, THESE ARE THE THINGS I TRY TO THINK ABOUT…BASED ON PHILLIPIANS 4:8 I CLAIM THIS BASED BY ALL OF GODS KING JAMES HOLY WORD, PRAYING MY THOUGHTS HONOR THE MIND OF CHRIST. ELENAS OTHER LINKS, BLOGS AND FACEBOOK PAGES SIGN UP TODAY!! If we cannot take a stand for God, in just a little thing. Like not seeing a certain movie, or not going to a place that is notorious, for sin, or accepting people, in our lives who are bad influences. What kind of stand is that? How can we stand against the enemy in a big thing, if we are not strong against him, in a little thing? Folks, we can miss it. I am sad today for I see, the little foxes steal the vines…..
We are the vine, growing with Christ, but if we do not submit to Him, we can be cut off. Don’t we see that? Again. How can we stand against the enemy in big things, if we won’t submit to God even in little things? Before I go further, I want to answer you, and tell you don’t play hard to get with God. And I will elaborate. But, I want you to look at this like a fine stone, that has been carved out by the master potter Himself, God almighty. There are many facets to our life, one part, may show a dinginess, in the stone. And one part, may be so clear, it glows. But as a whole, the beauty of the stone it reflects who God is. I ask if you play hard to get with God. Because some of us, when growing up, learned to master that quality. Holding out, till something good came along, then we have given it our all. Some did not. And with regret, there were times, in friendships, and love, I did not play hard to get. I wanted what I wanted then, and well, sometimes, the results were not worth it. When you are growing up, you play hard to get with a perspective mate. Or you should anyway. My mother taught me that. Yet do we always listen to our mothers? No. Sadly. Anyway, you hold out, and play hard to get, because you want to see how much, this person is interested in you. And you test the ground they stand on. What is it worth to get your attention? Have you ever noticed, a guy, will not give you too much interest, if you are interested in him? Men like a challenge, they like to chase the girl. They like the idea of the hunt. A woman, or girl, who makes herself so available to him, is not a challenge. There is no fun in that. And I will be more explicit here, but a woman, who gives herself to a man, totally, sexually, not only has stopped the challenge, but all is not fair in love and war. Once a man disarms a woman, there is no more of a challenge, and he got what he wanted, and is looking for another challenge. Even if he says he loves you. He may wonder who else beat him to the challenge. Something is missing now. The sin, has entered into the equation. A woman, in Christ, will know how precious her soul, body, and spirit is, and will make a man wait for that love, by not giving herself away. She sees the value of playing hard to get. She holds out for Holy matrimony. 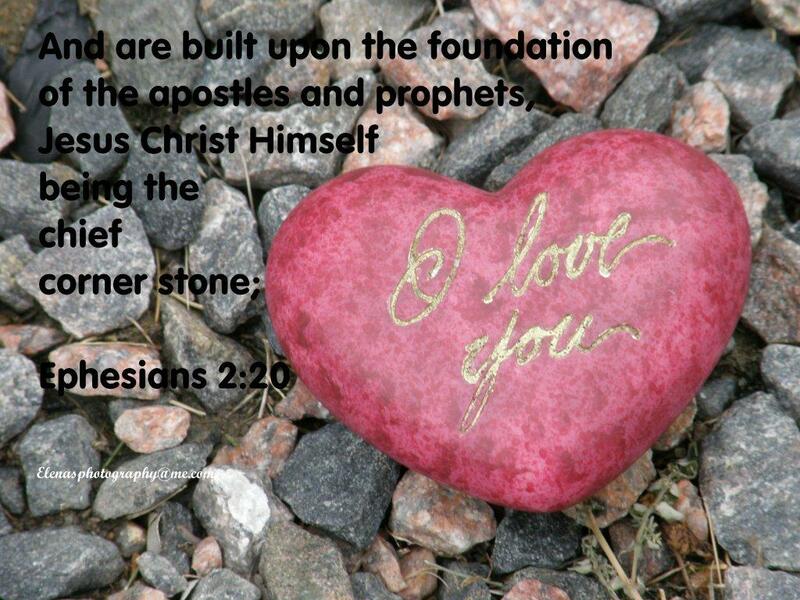 Where God can be the foundation, and yes cornerstone for that marriage. And if the man is smart, he will see her value, and marry her. In honor. Sound old fashioned? Well maybe it is, but Gods ways, are old but true. I have tried it, and tested the logic and I know what works. You see, I saw my value about 28 years ago, when I met my husband, and I honored myself, and God. I played hard to get, by doing it Gods way. And with success, I have a foundation in marriage, that has stood time. I thank God. Now lets talk about playing hard to get with God. Many of us, have or had that mentality, or thought, that we can do it on our own. We don’t need God. Sadly, I once thought that too. And those were the darkest days of my life. And with shame, yes shame, I admit, I made so many mistakes, in being misguided, that it also turned into great sin. If only, I did not play hard to get with God. I would not have hit the bottom of the barrel. I would not have had low self-esteem. Do you notice people who are people pleasers, sometimes, forget their own worth, and they give themselves away. And I am not just talking about sexually. But I am talking about always saying “yes” or going above and beyond, for someone or some, who could care less. Doing something for someone over and over again, that they take you for granted. And do not appreciate the kindness, or the gesture even in love. Sometimes, you have to remember the rule of playing hard to get with people, and in love, because you want good results. But you must never play hard to get with God. Never. You have to remember, who He is. He is the King of Kings, and Lord of Lords. He is mighty in power and strength. He is the creator of heaven and earth. Of heaven and hell. And yes, He does have the ability to take your name and put it in the lambs book of life, for eternal salvation. But if your name is tainted with sin, He can remove it, and the destination would be hell. Why people play with their salvation, and play hard to get in obedience is beyond me. But I would not chance on playing with His love. He is love. And without His love, our love, is in vain. Our attempts are in vain. Unless He builds the house, yes, we labor in vain like the scripture says. And I am paraphrasing. But we only have this lifetime, to make the difference. So repentance even on a daily basis, keeps you shining. I suppose, the whole point I am trying to make, is you are that beautiful stone. And if you let the master, the potterer, take your life, and mold it and shape it, and teach you His ways, you will have something to be excellent, and worthy at. But you have to see your worth. You have to see yourself, through Gods eyes. He looks at the heart, while people, they look at the outside. But what does God see? Does He see just lip service? But the heart is away from Him even in truth. BUT NOW, O LORD, THOU ART OUR FATHER; WE ARE THE CLAY, AND THOU OUR POTTER; AND WE ALL ARE THE WORK OF THY HAND. Isaiah 64:8. THIS PEOPLE DRAWETH NIGH UNTO ME WITH THEIR MOUTH, AND HONOURETH ME WITH THEIR LIPS: BUT THEIR HEART IS FAR FROM ME. Matthew 15:8. More then anything, you have to see who HE is. How excellent His ways are. How powerful, and yes even mysterious He can be. There is no greater force, or love, then His. No wonder, at His miracles. Or limit. But you cannot, my dear friend, play hard to get with God. You have to give it your all for Him. In this life. For if you do not, there will be regrets. There will be a sense, of failure. Sin does separate us from God. You can even lose your way, but you must always remember, He is the way, the truth, and life. Finding God, means you find the way. I just have the sense, that we must do every thing, in the time, we are given. To give Him glory, to give Him thanks, to acknowledge Him to others. To be love. To try and be a reflection of Christ. Yes we fail. I know I do, every day. But then I have moments, where I see, because I do not play hard to get, with God, I am able to be molded into something beautiful, for His glory, even in my words, with truth. And He is not done with me. But I will not limit God, by playing hard to get! Do you understand how deep this thought is? Please my friends, do not play hard to get with God. With some people yes, they do not deserve you. They will treat you like dirt. They will ignore you. They will be playing hard to get themselves. And it goes deeper, because it is the enemies intention to have you fail. To deceive you. But with those, who love, truly as Christ does, they will also see your worth. Those are those, who God has brought to remind you, that you are worth NOT playing hard to get for. I have learned this even in a day. How loyal some can be. But then there are those, who only want what you can give, and even if it is through God. They play hard to get. But remember, Christ did not play hard to get. He went on that cross, and gave His life, the ultimate sacrifice, so you could live. And live abundantly. Never play hard to get with that. It cost too much. He said, be Holy, because He is holy. Play hard to get with others to get that holiness. But let God in…..
You see, time could run out. We are not promised tomorrow. Dont take chances that make you look like you are playing hard to get with God. I Peter 1:16 BECAUSE IT IS WRITTEN, BE YE HOLY, FOR I AM HOLY. Another reminder, use a King James Bible, because it is Holy. Now you know I would tell you that, because you do not want something that has been corrupted. Have a blessed one. WHAT IS A WARRIOR FOR CHRIST?